Rome, Italy bursts with life. Crowds of people move about filling the streets with energy. Crowds cluster around landmarks like busy ants. Rome in the morning is different, though. There is a calm and quiet. Rome seems to sleep in, start a little later, and gain momentum as the day progresses. In the early morning, it seems as if you have the city to yourself. 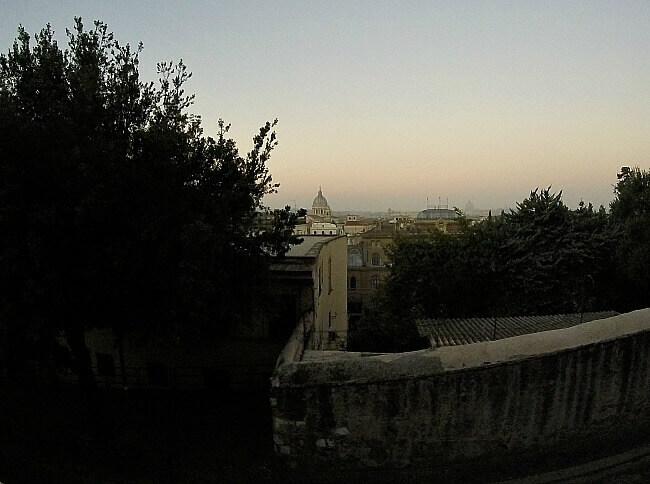 An overlook of Rome in the morning toward St. Peter’s. I began one morning of our recent Roman holiday with an ambitious, site seeing run. Donning my running shoes and armed with tourist map, water bottle, and GoPro camera, I sat out to explore the city. Map in hand (lower right). I photograph another beautiful scene. 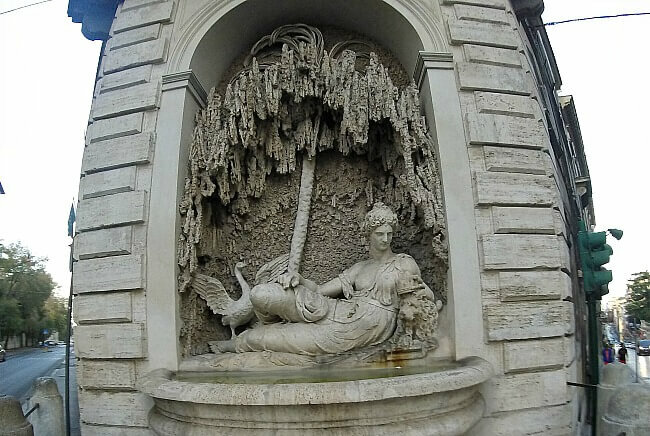 Follow me and enjoy my photos as I wind through Rome in the Morning exploring landmarks and making unexpected finds..
Our hotel was on Via Nazionale. 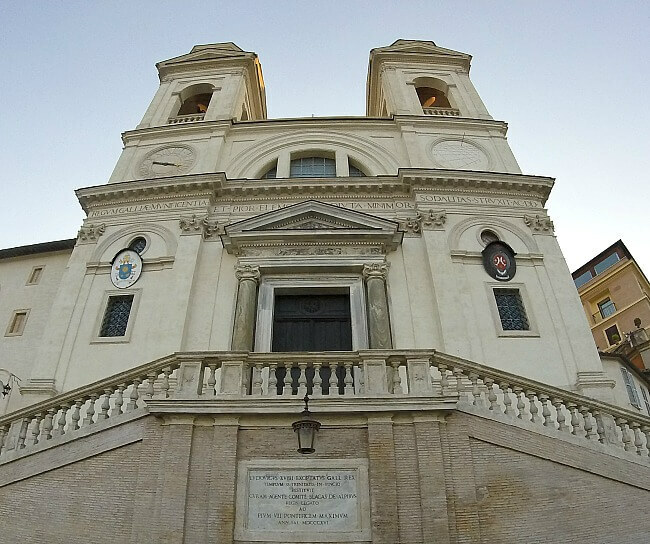 I began running down Via delle Quatro Fontane which leads straight to the Spanish Steps. Unfortunately the Spanish Steps were closed for repairs. 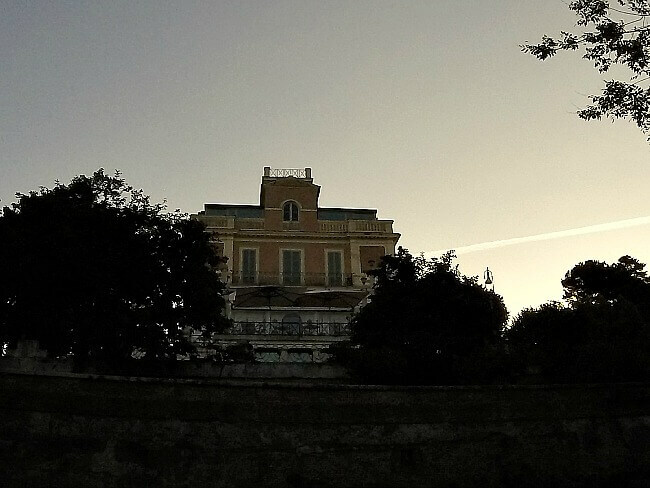 The area around Borghese Park is still beautiful, though. 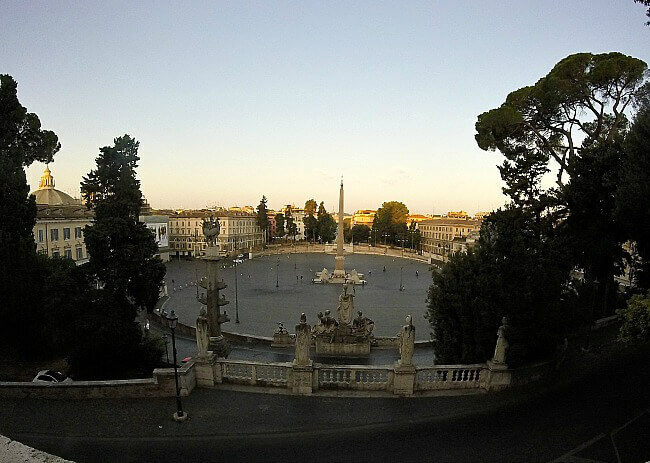 The road winds to the south onto the Piazza Popolo, originally built by Augustus Caesar. An Egyptian obelisk from Ramses II was brought to Rome and has stood in the center since 10 B.C. Not far further south along the Tiber River is the Mausoleum of Augustus Caesar. It is not an attractive site, but the history still intrigued me. Next up was to cross the river and find Vatican City. 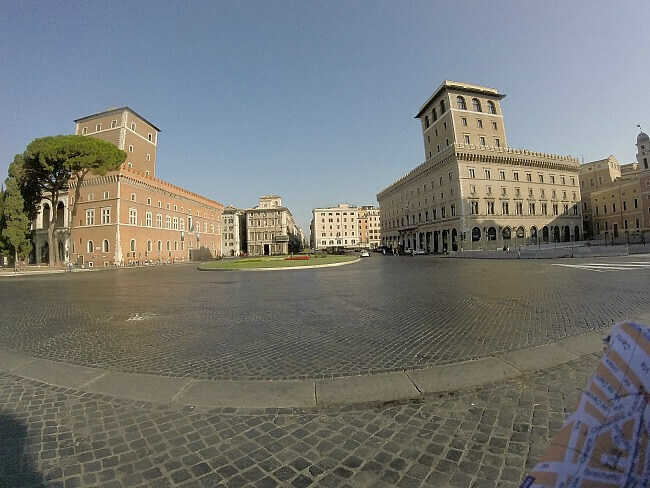 I love the variety of squares/plazas (piazza) in Rome. 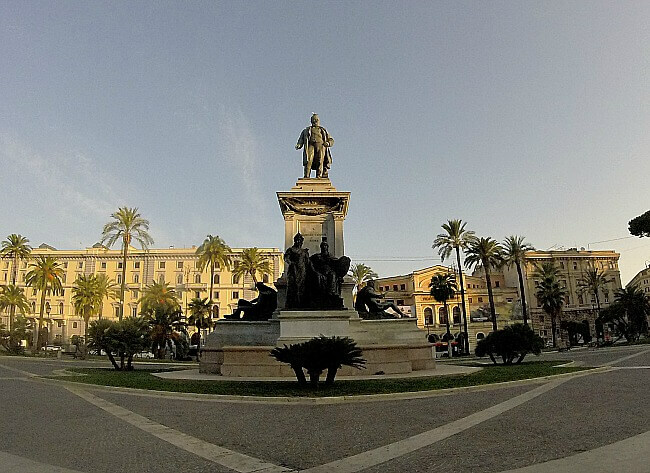 Piazza Cavour on the west side of the Tiber was a wonderful surprise. 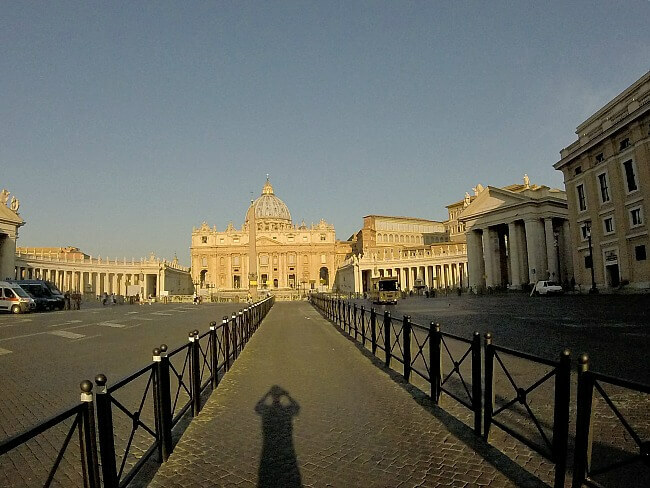 Seeing St. Peter’s without a crowd was amazing and definitely worth an early rise. There were only a handful of people including a few nuns in the area. A look down the Via della Conciliazone into the Vatican. Leaving Vatican City, I headed back east across the Tiber to see more of Rome in the Morning. In the morning, the air is more clear with less haze. Although it makes taking quality photographs more difficult (especially with a GoPro), I love the way the rising sun casts shadows; how light streaks across the photo. 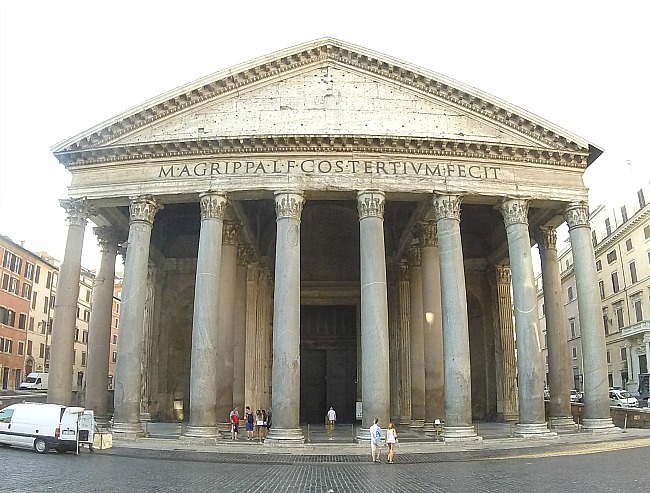 My next destination was the Pantheon, originally the center of Roman pagan worship. It has been a church for 1 and 1/2 millennium. 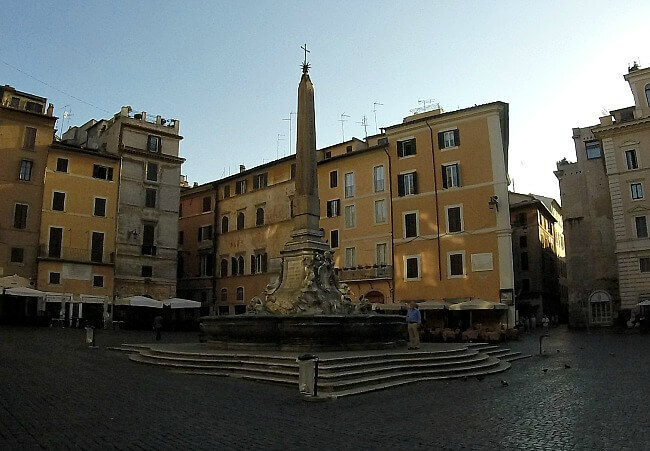 Running through the streets of Rome, you happen upon unexpected sites like the monument below and the piazza in the third photo. I have no idea what they are called. Turning south again, I made for the Circus Maximus. 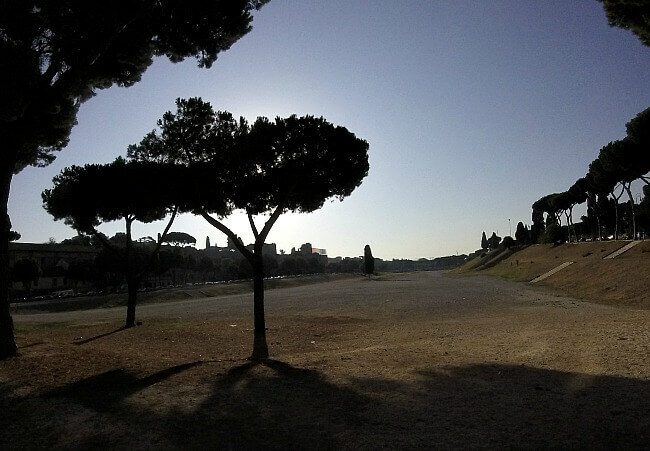 It is said that the Circus Maximus has been used for 3000 years; originally used by the Etruscans for 500 years before the Romans. After running a lap around the Circus (my personal Ben Hur moment), I veered north toward the Colosseum. 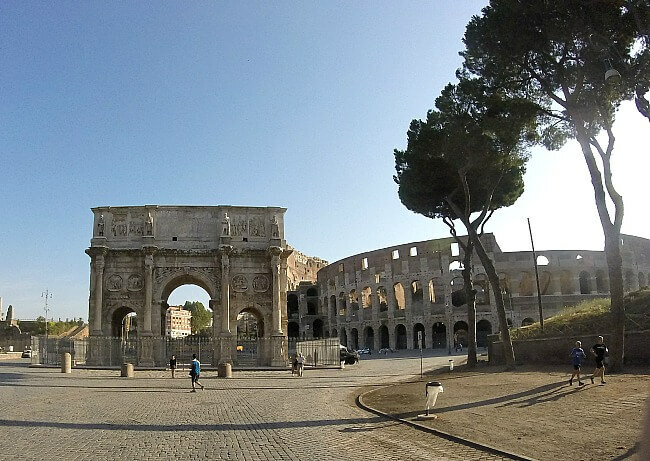 I was able to pass right next to the Arch of Constantine and run along the perimeter of the Colosseum. Magnificent! 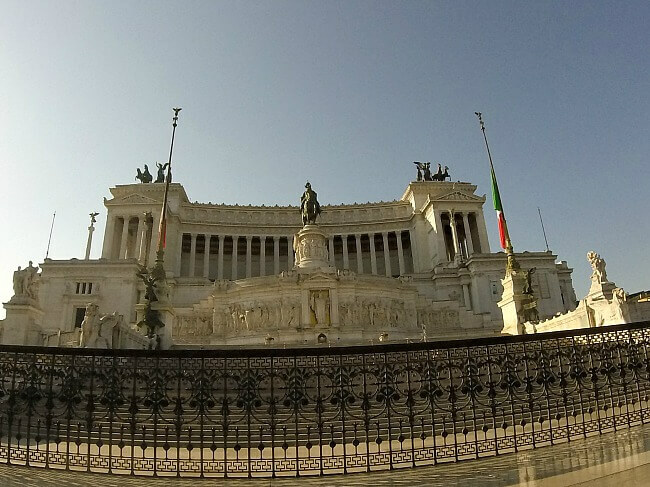 Just north of the Colosseum is the impressive Piazza Venezia with the massive Victor Emmanuel Monument. 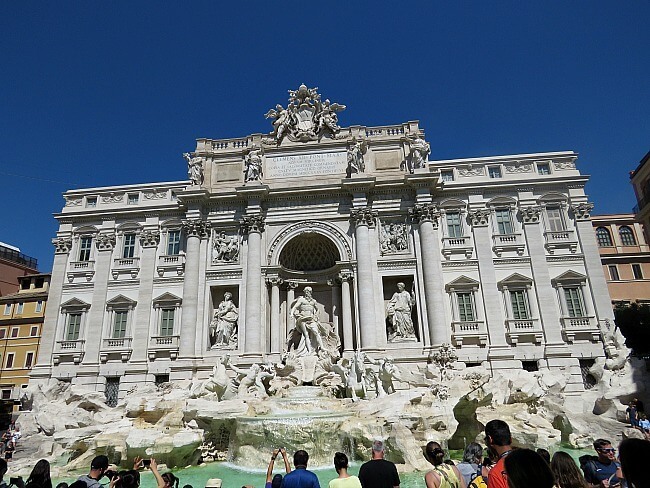 After taking in the Piazza Venezia, I headed for the Trevi Fountain. Unfortunately, my photos were not worthy to share. Here is a photo taken during the afternoon. Notice all the people. It was me and 2-3 others in the morning. 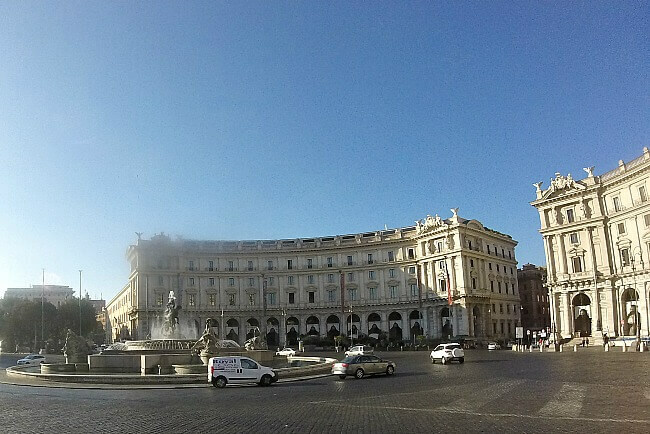 Ending at the Piazza della Repubblica and the Diocletian baths, my tour of Rome in the morning was complete. If I had not made wrong turns, then the route would have been about 9 miles. Mine was closer to 10. I run without GPS. A rudimentary knowledge of Italian (Dov’e il colosseo?) and friendly Romans kept me from getting too badly lost. I hope that you have enjoyed my running tour of Rome in the Morning. 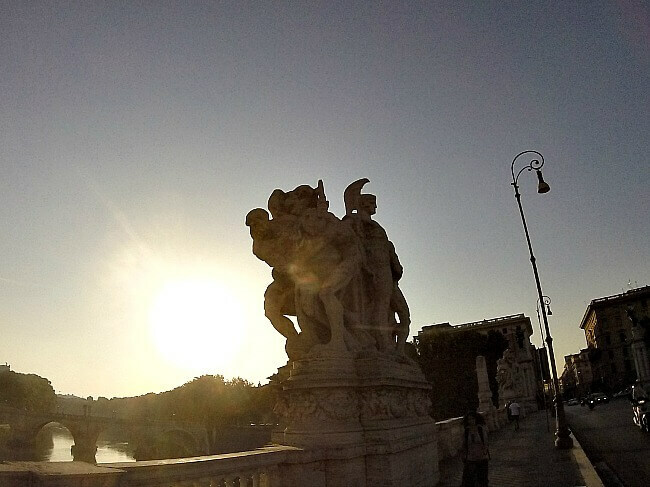 Morning is the perfect time to view Rome unobstructed. 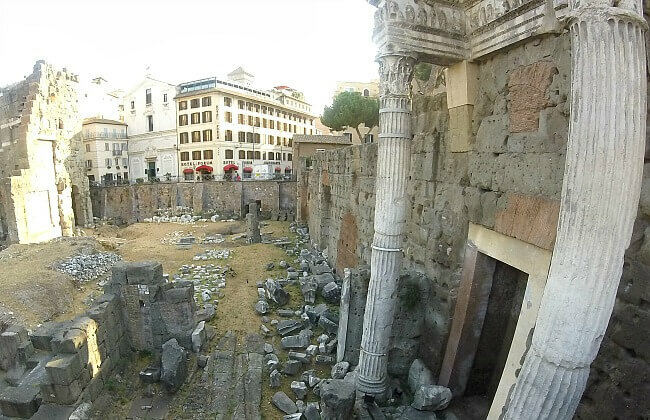 Try to make it part of your next Roman holiday. I will include the route that I took on a later post. Join us for more on Rome and Italy in upcoming posts.